The world's biggest passenger plane has been placed on the world's longest airline route. A Qantas Airbus A380 landed Monday at Dallas-Fort Worth International Airport. It was about 15 hours after leaving Sydney, Australia. The plane's journey had been 8,578 miles. The A380 is a double-deck, four-engine jet. It was greeted with a water-cannon salute. Then it taxied to a two-story gate. The gate was created just for the huge plane. The flight carried a full load of 484 passengers. DFW is a large airport. It has connecting flights throughout the U.S. and Latin America. That makes it ideal for the plane and the route. But the A380's size also limits its appeal. Smaller planes such as Boeing's 787 are cheaper to operate on many routes. Qantas previously flew the Sydney-Dallas route with the Boeing 747. That jetliner required a stopover in Brisbane, Australia. "The 747 served us really well. But it doesn't have the range of the A380," said Qantas Senior Executive Vice President Vanessa Hudson. She said the A380 provides 10 percent more capacity than the 747. If you want to fly the new route, it won't be cheap. Hudson said tickets are roughly $1,900 in economy. Tickets are double that for the seats in premium economy. They cost $7,000 for business class and $12,000 to $13,000 for first class. In first class, the airline tosses in a set of pajamas and a sheepskin mattress. Insane! that is the biggest airplane I have ever seen! I wish I could ride in that airplane, but it has a huge price. I think this article is amazing because in this article it tells about airplanes that are new. I agree that this airplane fills up more than 747 gallons of gas. I think this is an amazing airplane because it fills up more than 747 gallons of gas. I learned that some airplanes have more space for passengers. I am very amazed because some planes can put a lot of passengers. I read the article "Flying 15 hours non-stop-Fun or boring?". It was fascinating to read that someone would stay awake for 15 hours on a plane because last time I flew on a plane, I fell asleep . Before reading this article, I did not know you can fly plane for 15 hours non-stop. I read the article "Flying for 15 hours nonstop -Fun or boring". It was surprising to read that on A380 could carry 484 passenger because i thought there was about 200 passengers who could fit on a airplane. Before reading this article, I did not know that there is a plane named A380 and that it could fit 484 people. 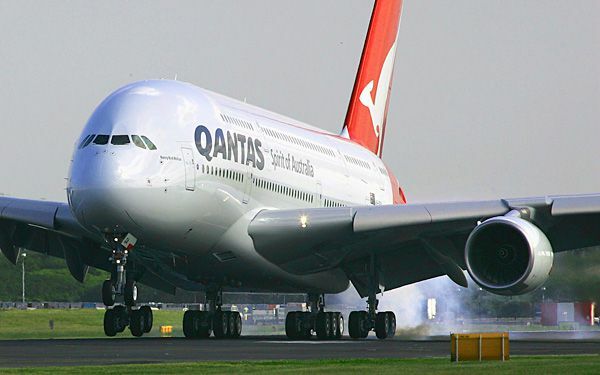 The Critical Thinking Question asked: For Qantas, what are the advantages of the A380 over the 747? I think it said that it has 10 more capacity. I read the article "Flying for 15 hours nonstop-fun or boring. It was just so interesting because $1900 is a lot of money. I mean I get it is a 15 hour journey, but that still is a lot. Before reading this article, I did not know anything about this new flight, and its pretty cool. I learned that it cost about $13,000 for a first class plane tickets that comes with sheepskin. I read the article "Flying for 15 hours nonstop-Fun or boring"? It was interesting to read that a plane ride was 15 hours because normally plane rides are only a hour or two. Before reading this article, I did not know that there was a double decker plane. The Critical Thinking Question asked: For Qantas, what are the advantages of the A380 over the 747? The 747 doesn't have enough range which means it can't go as far as the A380. I always wondered if there was such a thing as a double decker plane, and there is. I read the article "Flying for 15 hours nonstop-fun or boring?". It was strange that the biggest plane in the world can hold only 484 people on the plane. It is strange because I thought that the plane can hold over 500 people on the plane. Before reading this article, I did not know that planes can be that big or they have stores on the plane. I read the article " Flying for 15 hours nonstop fun or boring ". It was exciting to read that you need to spend 15 hours to get to a place on an airplane because when I go to Mexico i just wait I think 1 hour. Before reading this article, I did not know that just to take that ride you would need it to pay a lot of money. I read the article "Flying nonstop for 15 hours-Fun or boring?". It was shocking to read that people actually stay on a plane for 15 hours because that's a more than a half a day which is a really long time. Before reading this article, I did not know that planes can fly for 15 hours. 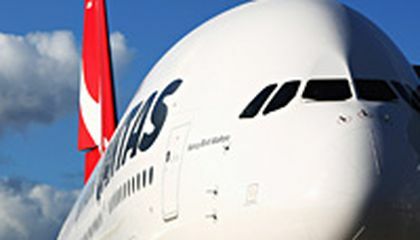 The Critical Thinking Question asked: For Qantas, what are the advantages of the A380 over the 747? I think the bigger plane can hold more fuel, so it will fly longer. That makes it easier for the pilots to fly because they don't need to stop as often. I read the article "Flying for 15 hours non-stop-Fun or boring?". It was weird to read that they actually carried 484 people because I had no idea that they carried 484 passengers. I thought they would carry 200 to 300 passengers. Before reading this article, I did not know that they would fly a plane for 15 hours.